There’s a good chance the upcoming Chevrolet Corvette C8 might set the record for the most rendered car in history — especially if the rumored production delay turns out to be true. 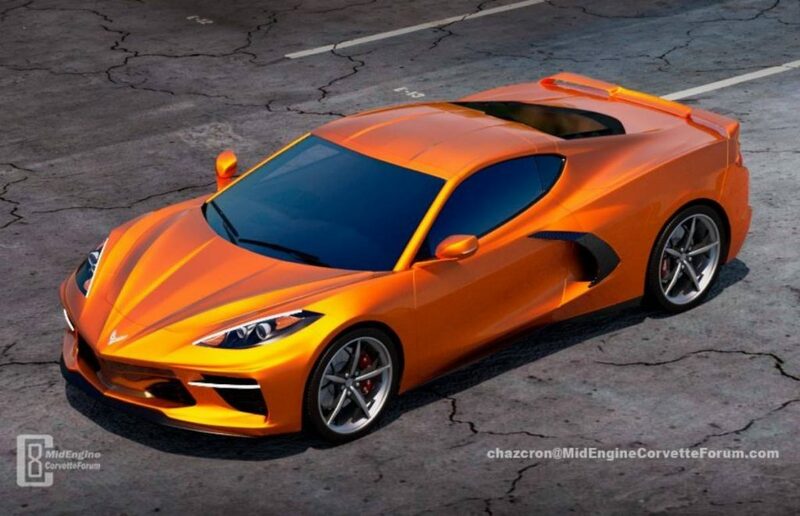 While we’ve featured a fair share of mid-engine Corvette renderings so far, including our own, we can’t ignore these two new CGIs released by Chazcron from the MidEngineCorvetteForum. Based on a new set of spy photos of the 2020 Corvette C8 that revealed more details of the headlights and taillights, the renderings manage to paint a rather accurate picture of the upcoming mid-engine sports car. Compared to previous renderings, the biggest progress can be noticed at the rear, where the taillights appear very detailed, as do the engine cover and sculpted bumper. Other than the updated headlights, no significant changes appear to have been made at the front. In the images, the Corvette C8 wears the Sebring Orange paint that has been quite popular with the current C7 model. It looks really good on the mid-engined Vette as well. In addition to these images, Chazcron has also released rotating renderings of the Corvette C8 that show the car painted red, silver and blue. Check out the video to pick your favorite and don’t forget that these are all speculative renderings based on what Chevrolet is willing to show of its 2020 Corvette test prototypes. Even with all these sketches we’ve seen in recent months, we hope we’ll still be surprised when the wraps come off of the real thing. I HOPE THAT GM HAS SOME MIRACLE CAMOUFLAGE THEY’VE BEEN USING TO HIDE THE CAR BECAUSE IT DOESN’T LOOK PROMISING IF THIS IS WHAT IT LOOKS LIKE UNDERNEATH. That’s exactly what I’m hoping! 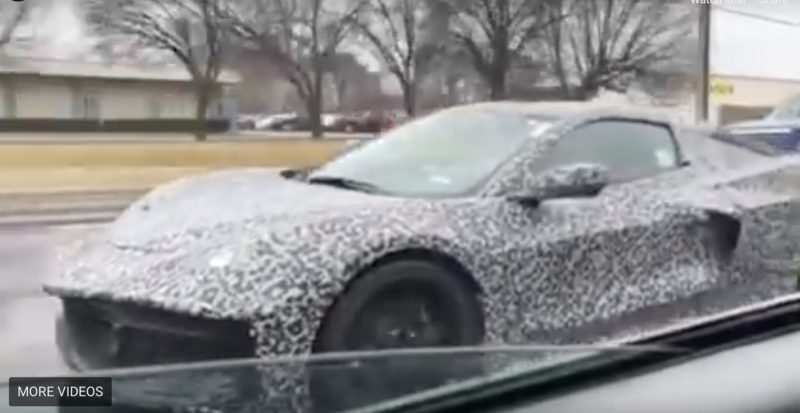 you actually are on to something as a recent video of the C8 showed it without lots of camo and there are parts and lines we have never seen before! I DON’T SEE A VIDEO BUT I DO SEE MORE DEFINITION ALONG THE SHOULDER LINE. HOPEFULLY SOME ROUND TAIL LIGHTS AND CENTER EXHAUST ARE HIDING UNDER THERE TOO. Looks like one of the cars they make for Grand Theft Auto. If this is it… then I guess we’ll soon be talking about what rear view is the ugliest. The C8 or the Civic Type-R.
I’ve been rendered speechless…… I’m not to keen on it either. This is a waste of an article. I want my 13 seconds back. It looks goofy. Especially after seeing Geneva, this is a underwelming. The Ferrari 360 would like to have a few words about Chevy trying to put a body kit on it. Yeah, it’s definitely in something… CRACK. Some renderings looks better than the others, I hope the real thing look good. so far I’m not liking it tbh. Man this is shaping up to be one dull looking mid-engine beast. What a missed opportunity. 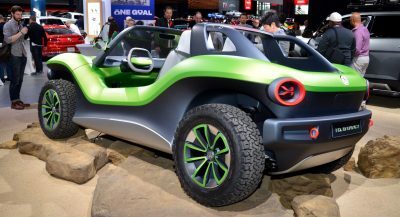 It looks like a GTA version of some sports car. This is starting to feel like the Panamera. So many years of spy pics and renderings that you were totally bored with the car when it was finally revealed. Maybe it’s me but it lost all personality. The current one is much better. Second only to the NSX in terms of boring style for supercars, with the addendum that it seems to borrow from multiple supercars. The C8 continues with the spy shots and renderings. Will it be ever release? Ugly, especially that “pinched” front hood. Doesn’t matter though, I could never afford one anyway. Looks fantastic (at least the rendering), hard designing a mid engine car that doesn’t look like all the ME Ferraris/Lambos etc. Like the rear end too. With the exception of the Pep Boys rear spoiler/wing it looks pretty good! This will pretty much be the production car I’m guessing. 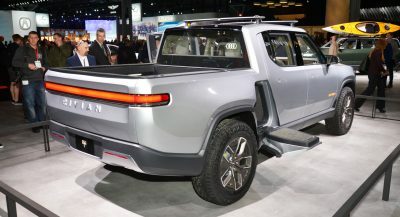 This is what happens when “the old guys at GM” try to create something for the young-ons. Why not hire fresh new designers? I am with you 100%! The old guys need to leave. Seriously! You can always tell when an old guy makes a styling decision on an all new vehicle. The chrome strip on the front grille of the C7 Stingray is a perfect example. Chrome wheels is another. Old cheesy colors is a third. 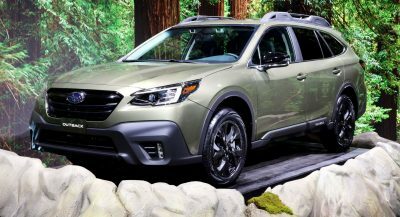 I think another problem is when a manufacturer purposely uses cheap add ons like crappy spoilers or other cheap looking aero or not so great looking wheels or cheap interior options to differentiate between the lower models and the higher end ones, to get you to buy the higher end models. I think they should do everything as high quality as feasible and make a real effort to do some real styling. It may cost a bit more but I highly doubt it would be a lot more. The cheap rear spoiler on the Z06 and the nice rear wing on the ZR1 is an example of that. It’s obvious when the bean counters have their say as well. How do you know the designers are old guys? Or are you just guessing? If the aren’t they’re designs are very old. I hope the back end doesn’t look like a Camero. Corvette should drive the evolution of the brand or be totally different. This looks like a Camaro from the back tires around the deck lid.